I have been mulling over this idea since the inception of Cooking for Zo 3 years ago but its origin is far older. Personally I have never been the biggest fan of chicken fried steak. Not that it tastes bad, it is just not my number one choice off of a menu. However when I was about eight I was very confused about the name of the meal, how can it be chicken fried but steak? I actually was pretty sure it was a piece of chicken in the form of a steak. Of course later on I learned it was a steak cooked as if you were cooking fried chicken. This is when the idea hit me, why not make it in a strip from? Just like chicken strips? So for years I have searched menus looking for chicken fried steak strips to no avail. Then when I started cooking for Zo and then posting on Cooking for Zo I decided I would make an end to my own search. But seeing as Chicken Fried Steak is not my number one menu option, it was not my number one priority. But man it should have been! 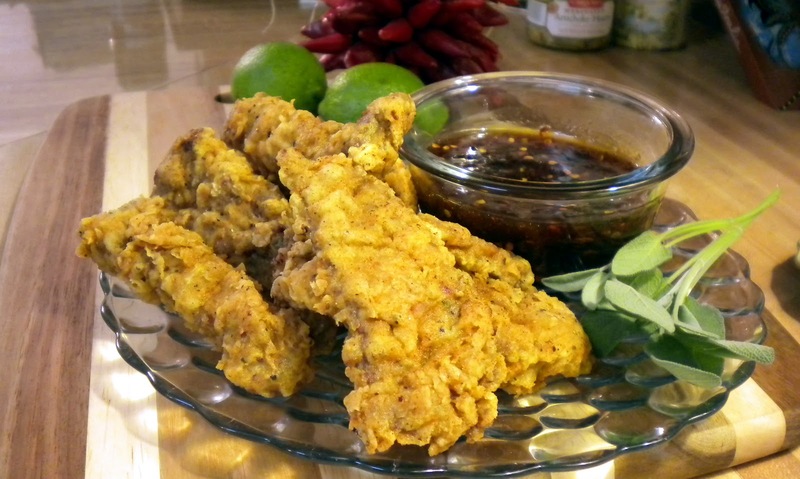 These New Mexican-Style Chicken Fried Steak Strips are amazing! They are especially delicious with our Sweet Chipotle Lime Dippin Sauce! So make them up today, tell everyone how great they are and maybe in a few years we will start to see them on menus across the world! Beat together the egg and milk, mix with salt and fresh crack pepper. Whisk together all coating ingredients in a shallow bowl until mixed well. Dredge the strips in the flour mixture and shake off the excess mixture. One at a time dip each strip into the wash and then back in the flour. Set strips aside on a piece of wax paper. Evenly sprinkle garlic over all strips and then gently press into flour coating. Pour cooking oil into a large cast iron dutch oven until it is one half inch deep and then heat over medium-high heat for 5-7 minutes. Once heated using tongs carefully place 3-4 strips at a time into the skillet and fry for 4-5 minutes. Turn strips and cook for an additional 4-5 minutes or until golden brown. Drain strips on paper towel covered plate. 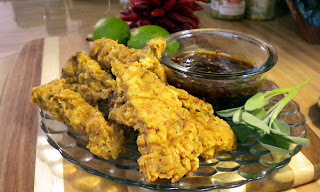 Once all strips are cooked and drained serve hot with Sweet Chipotle Lime Dippin Sauce and enjoy.